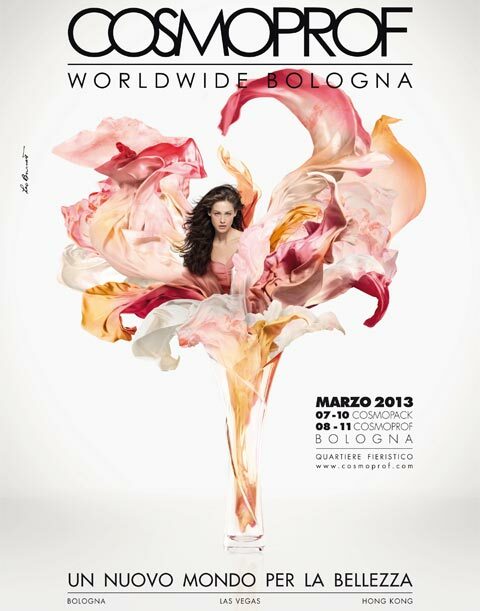 Today I can finally catch up after 4 straight days at Cosmoprof 2013 in Bologna, Italy, where I had the lucky job of finding out new products for a feature on Trucco e Bellezza magazine, the only Italian glossy publication entirely dedicated to makeup. Mistair is a British company with an amazingly comprehensive line of products including silicone based makeup, alcohol based body paints, polymer based Nail Art colours and even water based colour for Hair and a water based series for special effects and body painting called MistFX. Technoair is a fantastic line of waterbased products for face, body and nails coming from Spain and created by airbrushing Guru Luìs Dìaz, who is not only a master makeup artist, but has formulated the entire line of products and designed the wide range of equipment the company proudly offers. Full video reports with interviews and tutorials on both Mistair and Technoair will be coming soon to our YouTube channel. We have met with several more brands, Allisis from Korea (beauty makeup), and Ten Image by Cazcarra from Spain (beauty and body art) and Eulenspiegel from Germany (body art), and we look forward to writing about them too and including them in our LINKS DIRECTORY page!